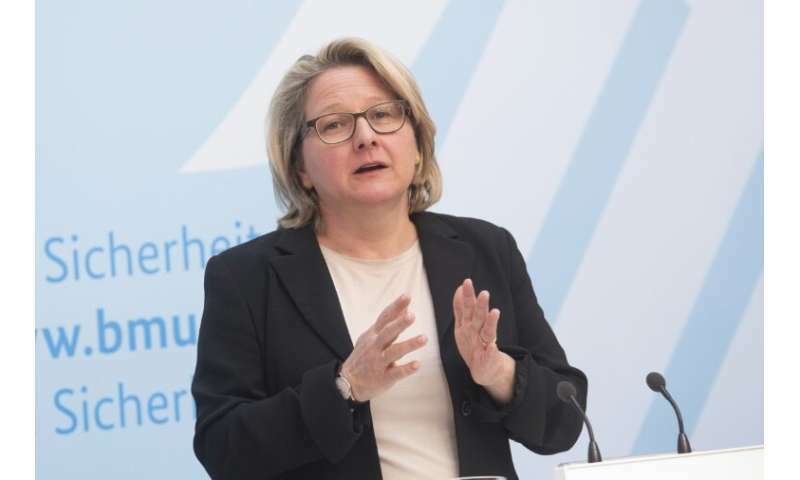 Europe's largest economy—which is haltingly transitioning away from coal and nuclear to cleaner energy forms—lowered output of the gases by 4.2 percent year-on-year, environment minister Svenja Schulze said in a report. A helping hand came from the unusually mild weather, which reduced the need for heating. But Germany also "drew more energy from wind and the sun and less from coal, oil and gas," Schulze said. It also achieved a slight reduction in emissions from transport. In total, Germany pumped 868.7 million tonnes of greenhouse gases into the atmosphere, some 30.6 percent below levels in 1990 —the year taken as a benchmark for its climate targets. Last year, Chancellor Angela Merkel's fourth government officially gave up on the goal of slashing output by 40 percent by 2020. Experts had long highlighted the goal as unachievable. But Berlin still aims to cut greenhouse emissions by 55 percent by 2030 compared with 40 years before, with a long-term goal of zero net output by 2050. "In the course of this year," minister Schulze aims to pass a far-reaching climate law with a "detailed road map" for energy production, taking into account a planned exit from coal power by 2038.